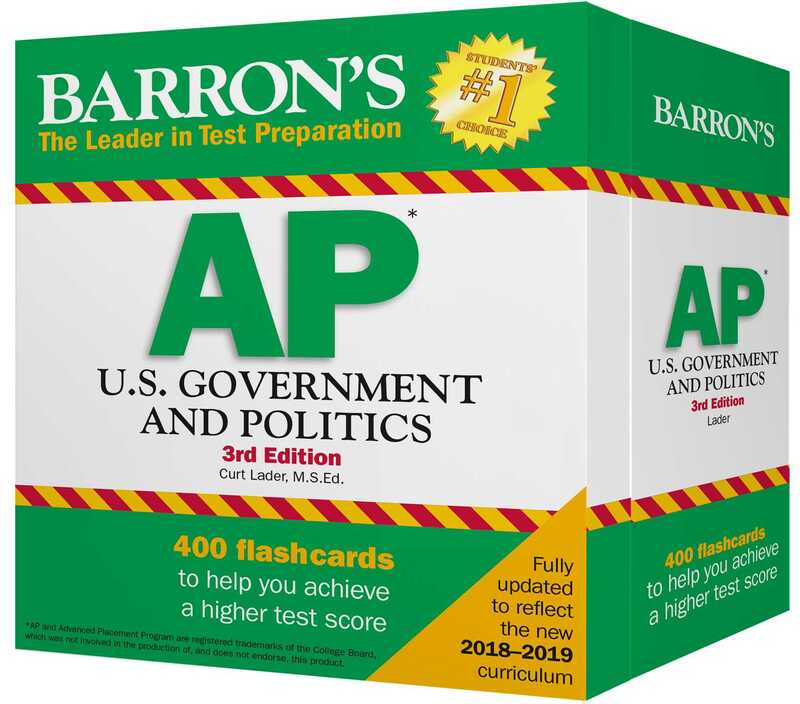 Updated for the latest exam, Barron’s AP U.S. Government and Politics Flash Cards features 400 cards to help students review the key concepts they need to know for the AP exam. With Barron’s cards, students can test their knowledge of Constitutional history, the branches and functions of the federal government, the political party system, lobbyists, the role of media in government, and much more. The cards measure 4 1/2" x 2 3/4" and have a punch-hole in one corner that accommodates the enclosed metal key-ring-style card holder, so students can arrange the flash cards in the way that suits their study needs. For full-length practice tests and even more review, check out Barron's AP U.S. Government and Politics with Online Tests, 11th edition. More books from this author: Curt Lader M.S. Ed.